The brain contains nerve cells that manage thoughts, behaviors, sensation, and movement. 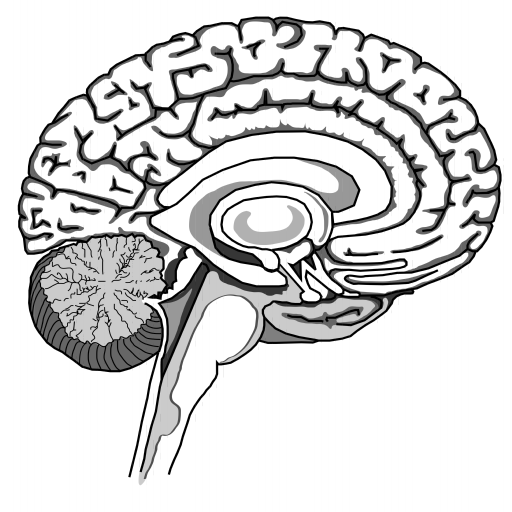 The brain is divided into two hemispheres lobes, each with specific tasks to control. 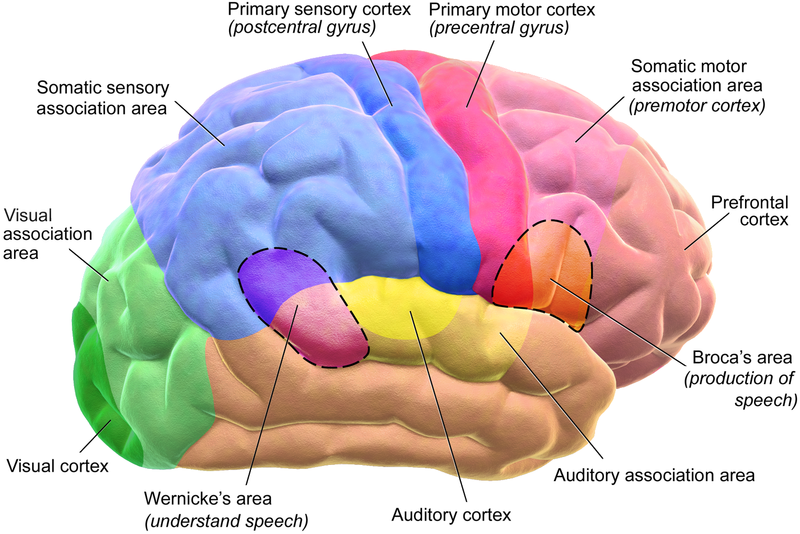 The cerebrum, cerebellum, and the brainstem communicate with the spinal cord and nerves to manage everything including breathing, the rate of growth, water regulation, memories, how to drive, and clinical reasoning! There are many ways to classify brain injuries. In all cases, cellular damage in the brain and increasing pressure in the brain are the primary issues. 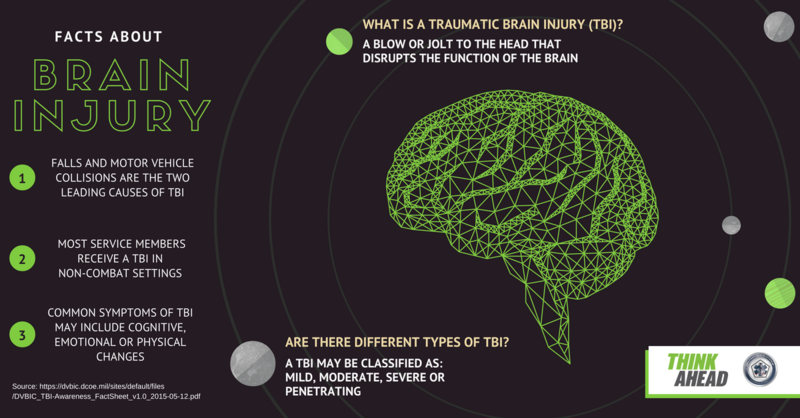 Traumatic brain injuries (TBI) are caused by a physical hit to the head that alters normal brain function. Falls, being struck by or against an object, motor vehicle crashes, and intentional self-harm were the leading causes of TBI in 2013 (CDC, 2017). A contusion is a bruise on the brain. Blunt-force trauma can cause this type of injury. 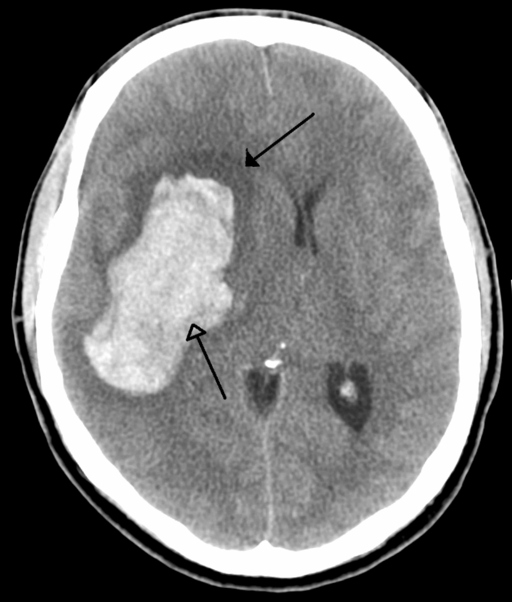 Intracranial hemorrhage and hematoma tend to be progressive, meaning they become symptomatic as blood accumulates. A concussion is caused by acceleration-deceleration forces after a mechanical force to the head. 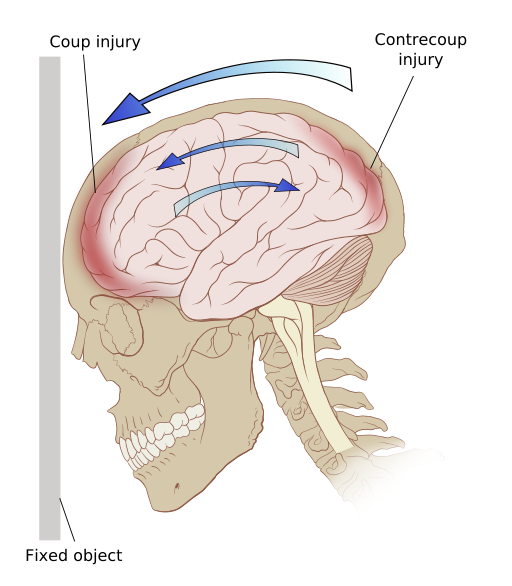 Diffuse axonal injury involves shearing forces that occur during injury. This is seen in shaken-baby syndrome, for example. Impalement and gunshot wounds have varying clinical courses. Brain injuries can be mild, resulting only in temporary effects to the brain cells. Symptoms of mild injury may be ongoing for hours or days and include concentration problems, mood swings, and light or sound sensitivity. 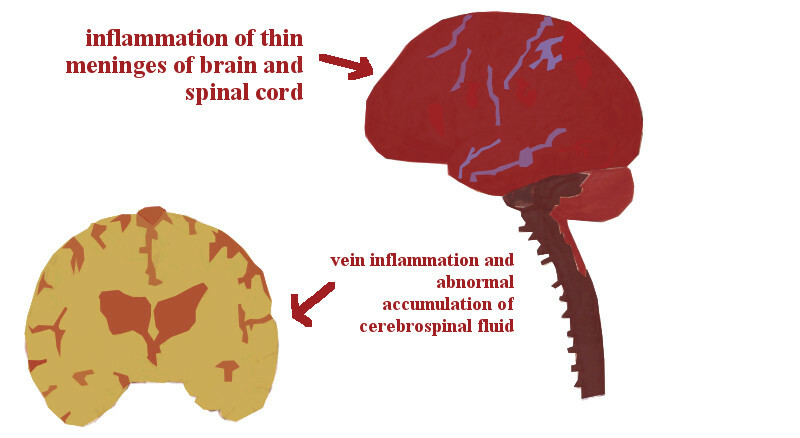 Moderate to severe brain injuries result in brain bruising, torn tissues, or bleeding. Complications may be progressive and linger over weeks to months and include hydrocephalus, seizures, infections, vessel damage, headaches, cognitive problems, executive functioning difficulties, and behavioral changes. More severe symptoms indicate more severe brain injury. Removing a tumor or clot. Hyperventilating the patient to cause vasoconstriction. Failure to relieve the pressure results in poor outcomes including Cushing’s response, signified by rising systolic blood pressure, slowed pulse rate, and widened pulse pressure. 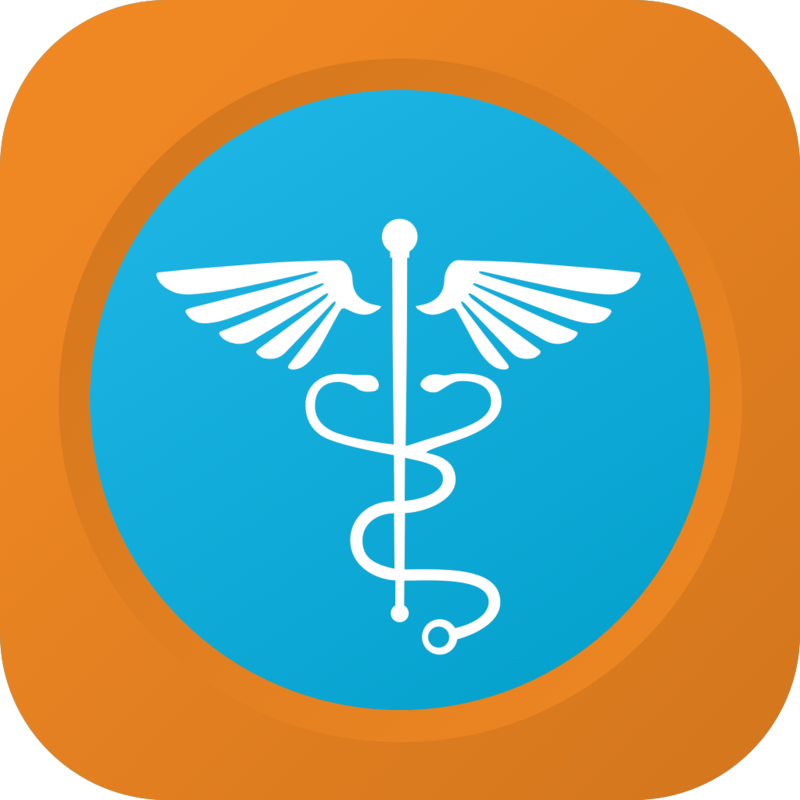 While monitoring and intervening to maintain brain function, the nurse also aggressively manages temperature, blood glucose, risk for GI bleeding, risk for clotting, and electrolytes. Each of these interventions helps reduce workload by the brain and, therefore, oxygen consumption. 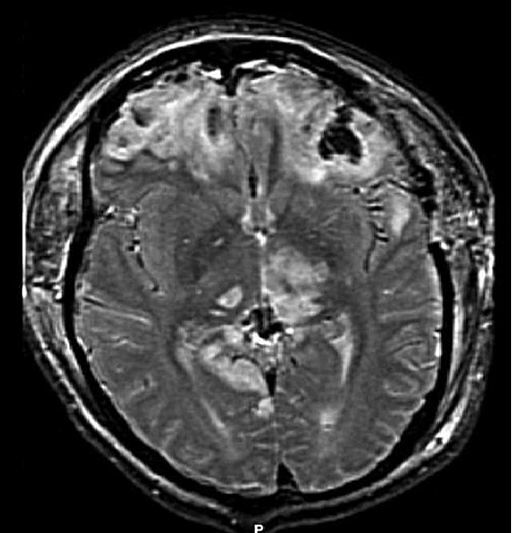 After the patient’s acute care, teaching includes describing that the brain heals slowly. Long-term deficits depend on the area damaged along with the severity of the damage. Some deficits are permanent and some will improve with time and rehabilitation. Memory, mood, and behavioral issues tend to persist for greater than one year regardless of physical recovery. Nursing support is crucial at every stage of care for the patient with a craniocerebral injury!